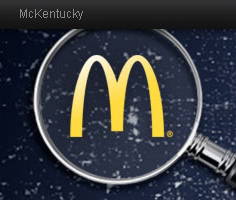 McKentucky.com is where you can learn about available job openings in MacDonald’s restaurants all over the State of Kentucky. 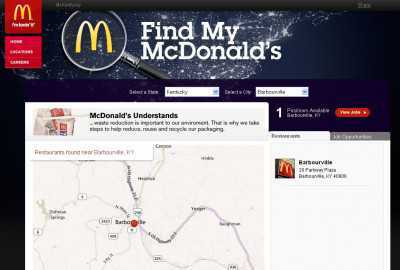 This site comes with a flexible restaurant locator, and you can use that to focus your search on the MacDonald’s restaurant which is the closest to where you live. If there’s no openings there that interest you, then you can easily see what’ available in the second nearest restaurant. And so on, until you manage to find a job that you’d be more than willing to do. And the main navigation menu also lets you jump straight to the sites for every other State where MacDonald’s has got a restaurant. You’ll be provided with a map for any city you pick, and you’ll get to use it as described above to browse through all the current job openings in that location. The site also comes with information on the company’s latest products. 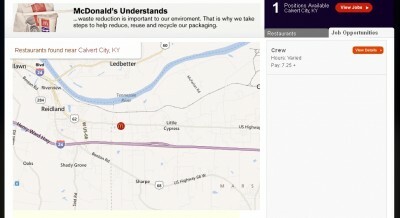 You can quickly check all of MacDonald’s newest hamburgers, combos and promotions. Which never goes amiss if you’re planning to work there. I mean, what if you land an interview and they start asking you about MacDonald’s most recent products, and you know nothing about these? Would you hire that person if you were a recruiter? Exactly.